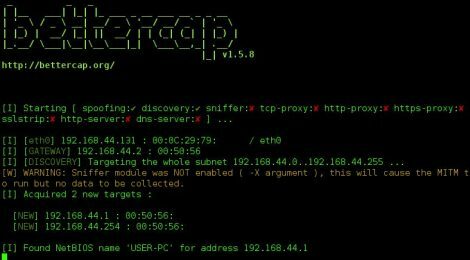 Browse: Home / BetterCap v1.5.8 – A complete, modular, portable and easily extensible MITM framework. 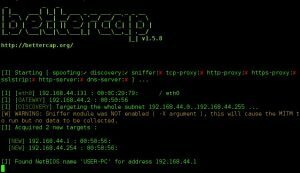 BetterCap v1.5.8 – A complete, modular, portable and easily extensible MITM framework. * New –html-file PATH option. * New –full-duplex option ( half duplex mode is now the default ). * HTTP(S) logs from the proxy do not truncate urls to 50 characters anymore. * Fixed InjectJS module bug which caused the HTML of the page to be broken in some circumstances. * Fixed a bug which caused the HTTPS proxy not to work properly with wildcard domains. * Fixed TeamViewer packets version parsing. * Fixes #282: Inject modules fail on uppercase tags. * Fixed a bug while changing/randomizing MAC address on Linux. 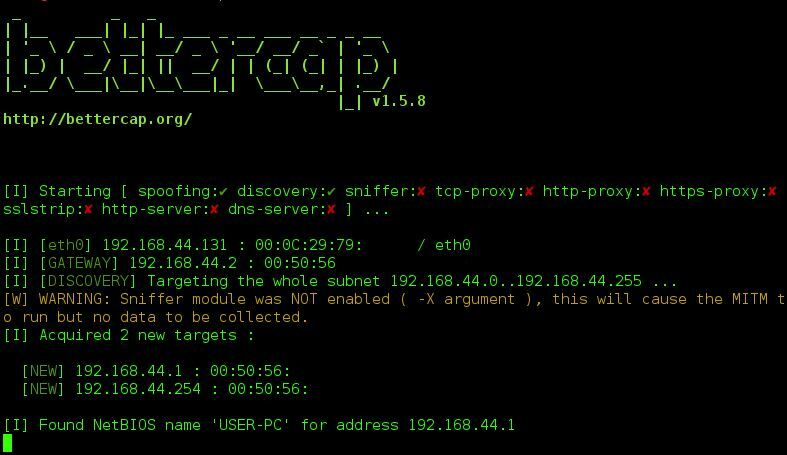 bettercap is a complete, modular, portable and easily extensible MITM tool and framework with every kind of diagnostic and offensive feature you could need in order to perform a man in the middle attack. ← hanzoInjection – injecting arbitrary codes in memory to bypass common antivirus solutions.